As present as on the first Rip Rig + Panic album, as on her first solo record, an exciting experiment with industrial, jazz, and pop thrives in Broken Politics. Her family’s free jazz lineage can be drawn parallel to her weird pop collaborations with The The, The Slits, and Gorillaz. as can be seen her solo career pioneering catchy hip house, fun trip hop, and, on Broken Politics, organic pbr&b. 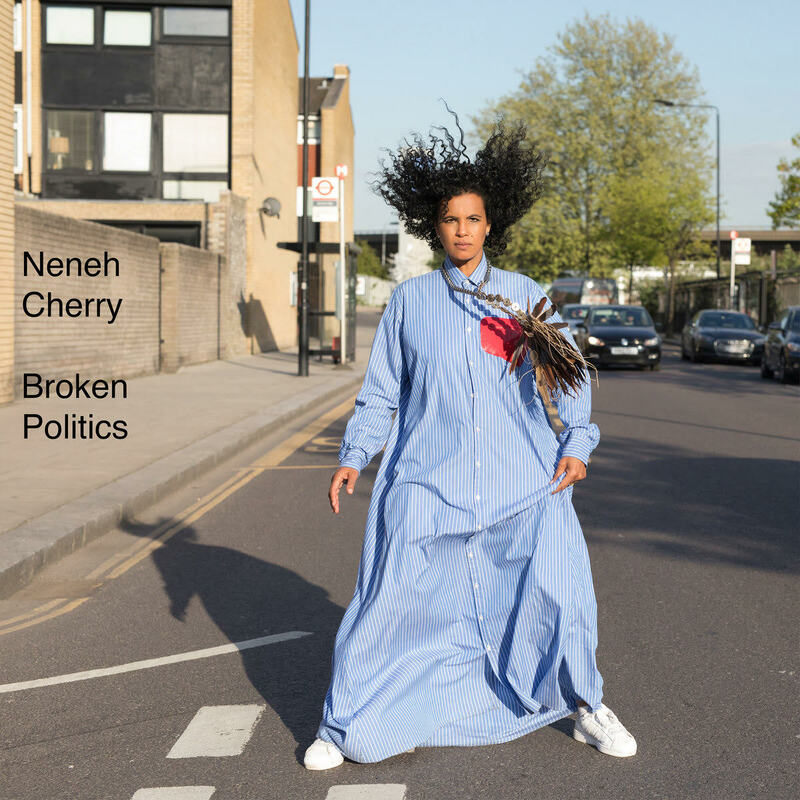 As important as her lineage is in pinpointing where her adept composition skills originate, Neneh is not stuck in the past. Tracks like ‘Natural Skin Deep’ show a vision of the future through a lens of the past -synths- throbbing into dancehall tin drums and jazz horns in a masterclass of genre bending. Overtop the fantastically vibrant and intimate production is a deeply human story, saying everything without trying to say anything, through lines as redundant and yet characterful as the deadpan “I’m a Pisces”, from ‘Synchronised Devotion’. Altogether a deeply personal, therapeutic album full of experiments decades in the making.